Ed has been working at the LRC since 2011. Previously, he worked at the Upper Midwest American Indian Center for 12 years as a classroom assistant and a Physical Education and Social Studies teacher. Ed was also a foster parent for Hennepin County youth who needed emergency shelter. 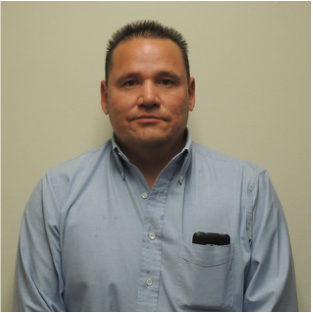 At the LRC, Ed is a Community Advocate for the Native American community, an Investigator, and a Restorative Services Facilitator. Ed enjoys working at the Legal Rights Center because of the wide variety of work he is able to do, from helping youth to conducting legal intake. He likes that the LRC gives him the opportunity to help the people who often think that no one cares about them. Ed has been married for eighteen years. In his free time, Ed enjoys playing softball and cheering for his youngest daughter, who is a stand-out athlete at Robbinsdale Armstrong High School.